It’s Hockey Day in America! To celebrate, I’m modeling the hat I started (and did finish) here. 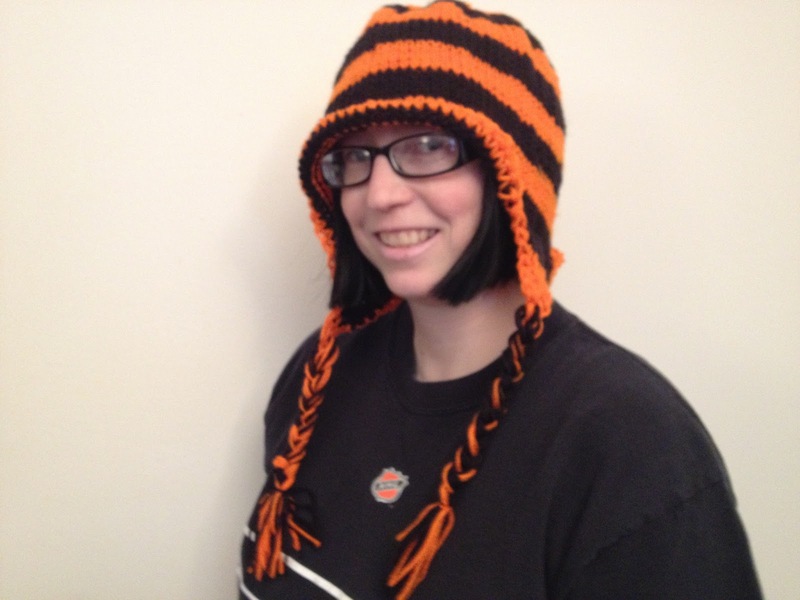 Yes, the Orange and Black Attack hat is done and ready for the Flyers to start winning. Please. Even though it’s been a rough start for them, I still love’em. Even though it’s not quite over yet, I’ve had an awesome weekend thus far. 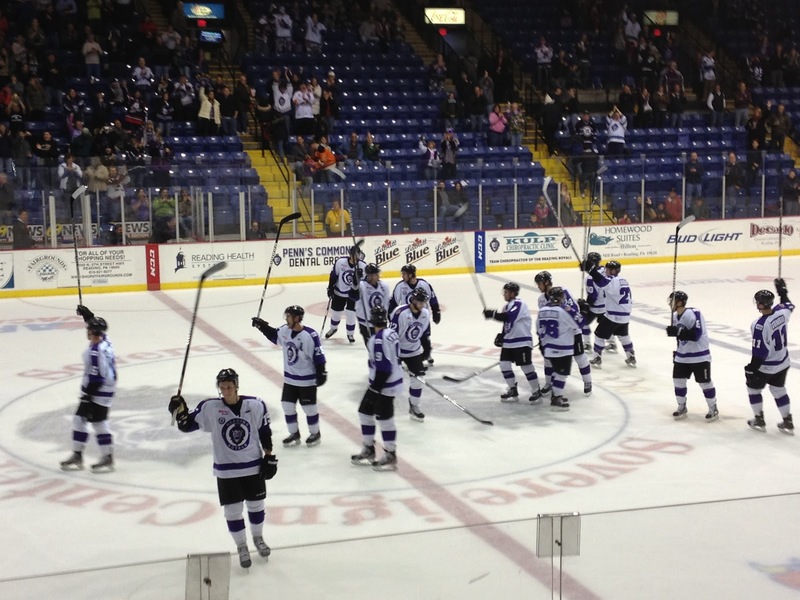 Sam and I got free tickets to the Reading Royals, an ECHL hockey team that I’m a big fan of. It was quite possibly the best hockey game I have ever been too. Fights, fan anger, and a win, it was awesome. 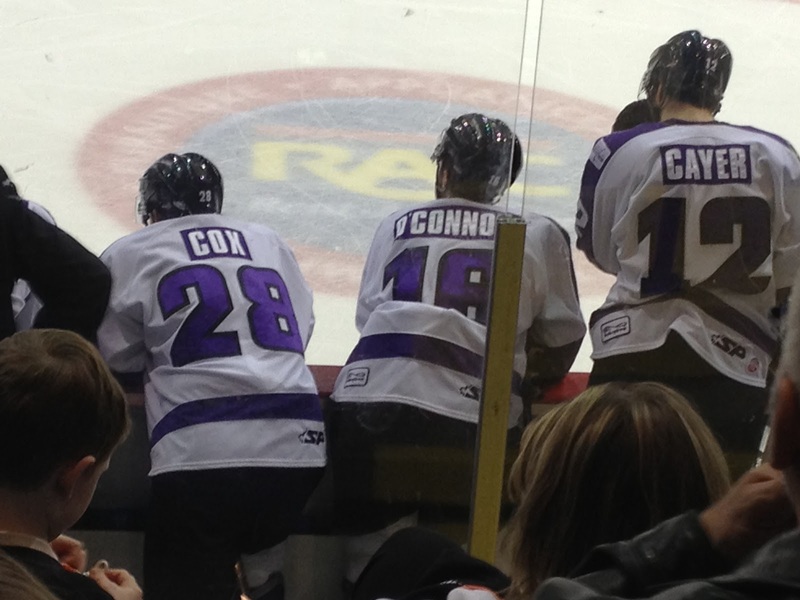 And our seats were right behind the Royal’s player bench. 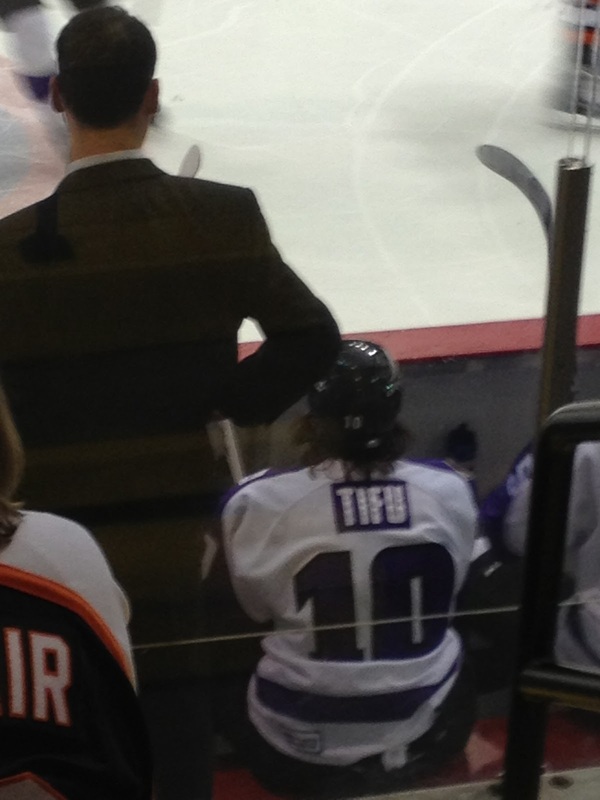 Yannick Tifu, the Reading Royals captain. Though it started off quiet, Sam and I went to see The Hobbit. Fantastic movie! It was beautiful and I’m so happy all the original actors came back. And Sylvester McCoy, the Seventh Doctor, played an excellent Radagast the Brown. I can’t wait for the other two movies!! We had our usual breakfast with Sam’s parents. Afterwards, we were all sitting around talking, and a new community park came up. My in-laws had already been there, but Sam and I hadn’t. 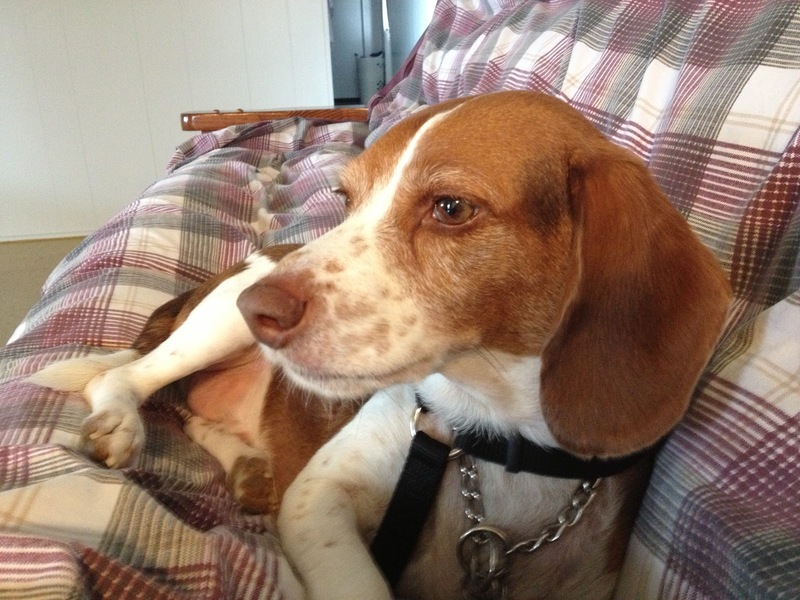 So we leashed up Snoopy, Sam’s grandparent’s dog, (The in-laws watch him while the grandparents are away because of doggy separation anxiety), and we headed out. 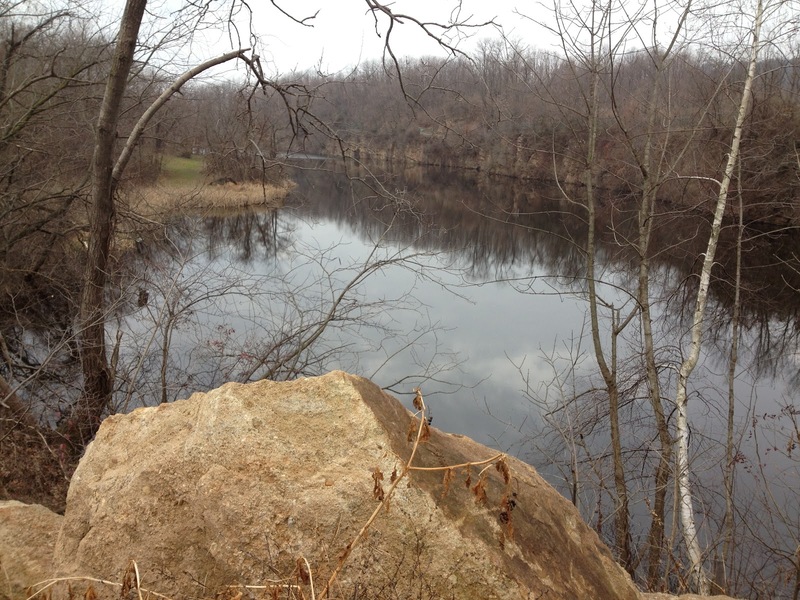 There was pretty pond and a water-filled quarry that is probably gorgeous in the spring and summer. It was a wonderful time with wonderful fellowship. A view of the quarry. It’s been a great weekend.